1. 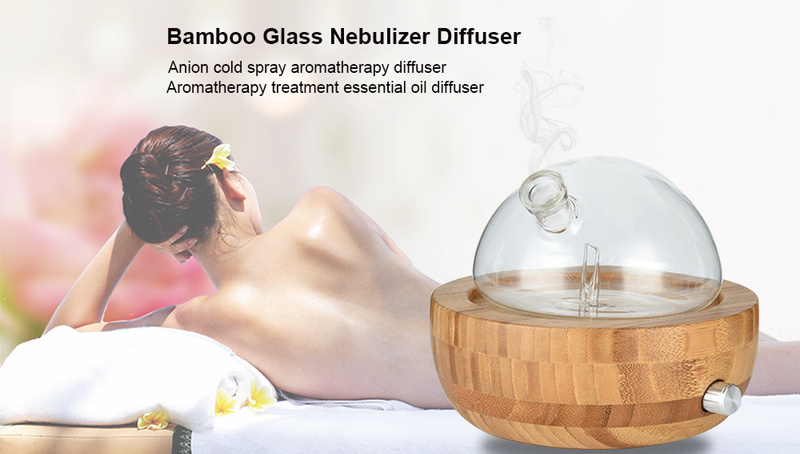 QUIET FRAGRANCE DIFFUSER WITH COMMEMORATIVE GIFTWith barely a whisper, our Nebulizing Aroma Diffuser hardly produces any noise (maximum 40 DB). 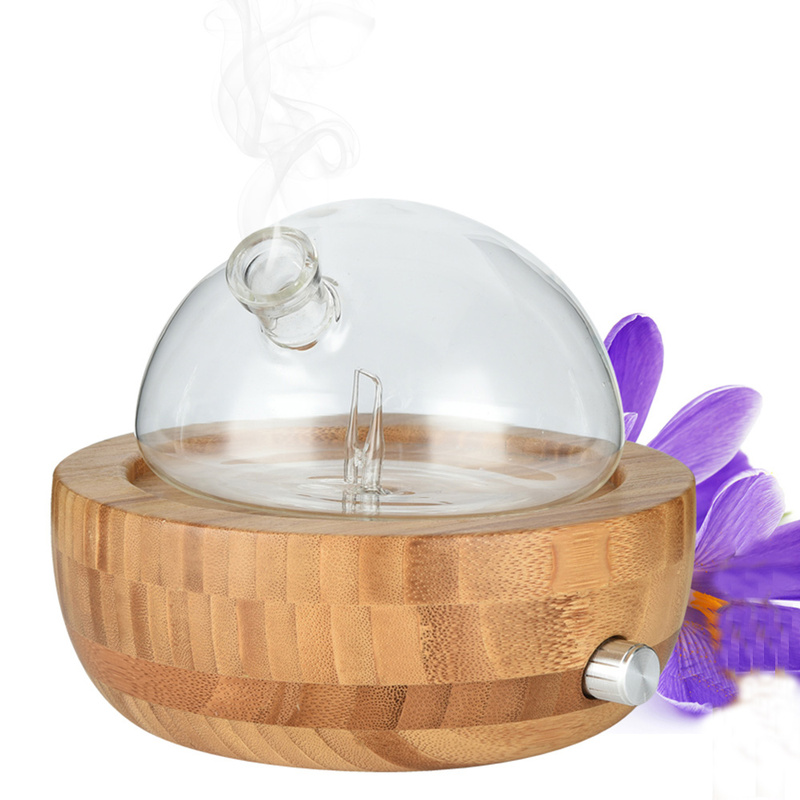 Making it suitable for running at night with lavender essential oils to cure insomnia. 2. UNIQUE HIGH QUALITY DESIGN This elegant unique shape will decorate and complement any interior design setting. Perfect of any bedroom, living room or spa. 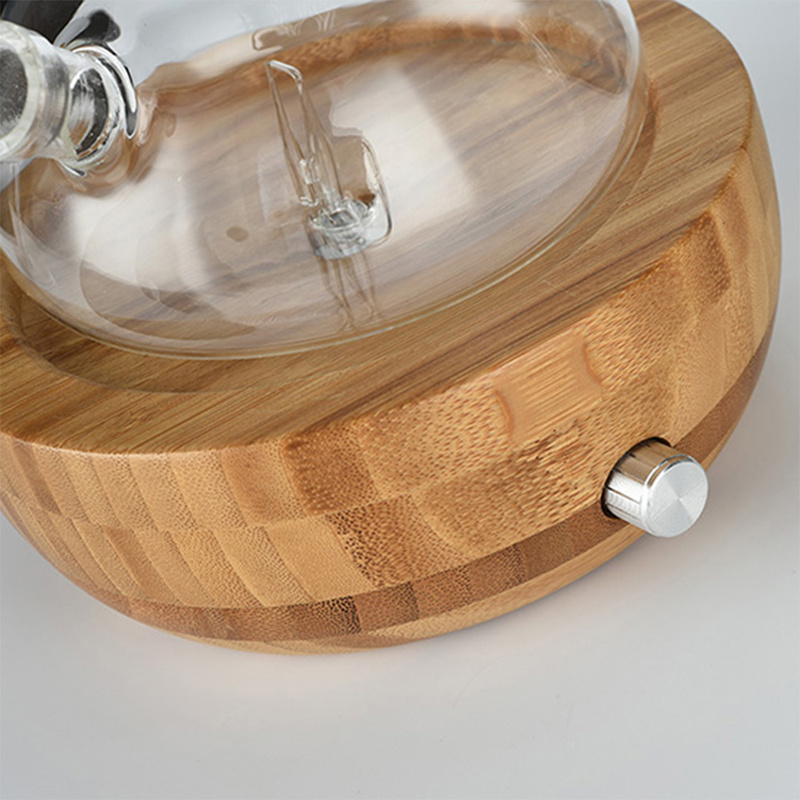 Made with quality Artistic hand-craftsmanship blown glass and 100% solid plantation hardwood base. No plastics or artificial materials and is BPA free! A perfect gift for any occasion. 3. 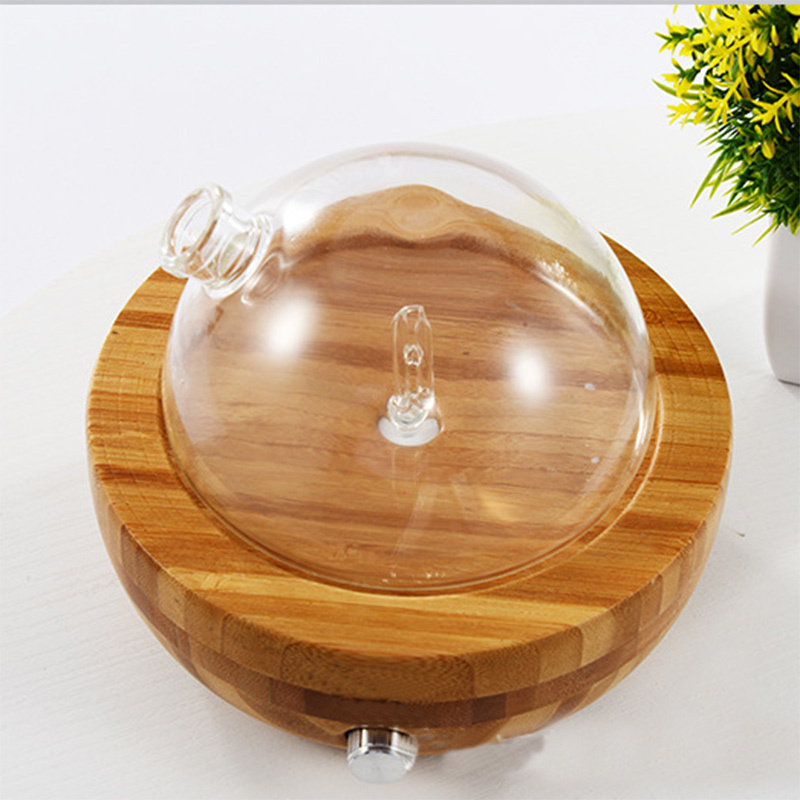 SAFE AND EFFICIENT Certified by Scientists this scent Diffuser is used by Aroma Therapists and Massage Therapists. 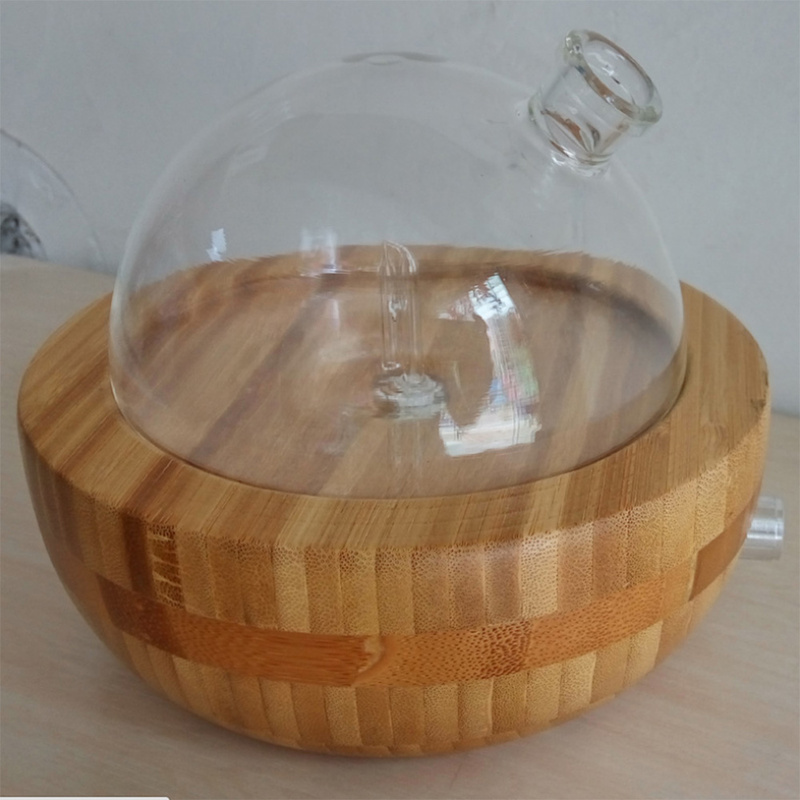 No heat or water is required with this unit preserving the potency and quality of the essential oils. simple and safe for personal use. 4. MIST CONTROL AND TIMER Control or limit the amount of scent with Precision volume control and specially programed shut off cycle. After only 15-20 minutes of running, with a durable energy efficient electric pump, it quickly fills an area of 320-640 sq. ft. This unit operates for 2 mins On, 1 min Off, and automatically stops after 2 hours of use.